Getting Back on Track | Smile Logic, Inc.
Yikes! 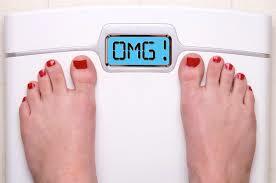 It is that time of year where you look at the scale and see that a couple of pounds are creeping up on you. I have found that to be the case for myself lately…… That being admitted, I am sorry to say that I have fallen off my fitness wagon. For nearly 2 years, I was on a pretty regular plan, going to the gym or working out several times a week at home, and suddenly I found the motivation had left me. So, for 6 months, I have done very little. Why am I bringing this up? Because I see it daily in my office as it pertains to oral health as well. “It was great when I first left my last appointment, but I haven’t done much lately.” Another example is when a new patient or a long lost existing patient show up after years of not having any treatment. The response is similar to losing motivation with exercise. Many reasons come up, including loss of funds or insurance, lack of time, procrastinating because “no one likes to go to the dentist”. But, much like diet and exercise, it is much easier to maintain health and avoid treatment by sticking to a plan. It may not be fun, it may not be the priority, but if it is neglected the results can be painful, embarrassing and expensive. So, as someone who is trying to get back on track with my personal goals, I am asking you if you are meeting your goals when it comes to maintaining your oral and overall health?